What is Weathering steel? It is a type of alloy steels which were designed to remove the requirement for painting or other decorative rust shielding methodologies. This steel actually make a steady rust-like formation on surface if allowed to interact with weather for numerous years. In America, the brand name of this special type of steel is known as CORTEN Steel. 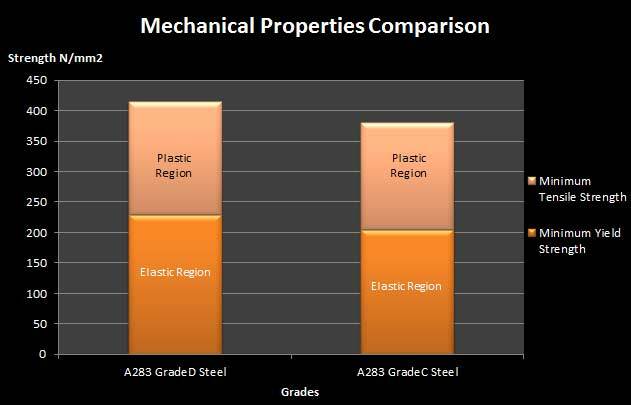 What is ASTM A 588 & ASTM A 242? ASTM A 588 is an American designation for Weathering steels; for the higher gauges. It covers three types of products based on its thickness. 4 inch or 100 mm Thick Steel: It has a yield strength of at least three hundred and forty Mega Pascal and ultimate tensile strength of four hundred and eighty Mega Pascal. 5 inch or 127 mm Thicker Steel: It has a yield strength of at least three hundred and twenty Mega Pascal and ultimate tensile strength of four hundred and sixty Mega Pascal. 8 inch or 203 mm Thickest Steel: It has a yield strength of at least two hundred and ninety Mega Pascal and ultimate tensile strength of four hundred and thirty Mega Pascal. 75 inch or 19 mm Thick Steel: It has a yield strength of at least three hundred and forty Mega Pascal and ultimate tensile strength of four hundred and eighty Mega Pascal. 75-1 inch or 19-25 mm Thicker Steel: It has a yield strength of at least three hundred and twenty Mega Pascal and ultimate tensile strength of four hundred and sixty Mega Pascal. 5-4 inch or 38-102 mm Thickest Steel: It has a yield strength of at least two hundred and ninety Mega Pascal and ultimate tensile strength of four hundred and thirty Mega Pascal. Why it is called as Weathering grade? Weathering refers to the special chemical composition of this type of material, permitting them to show enhanced opposition to environmental corrosion unlike various other steels available in the market. 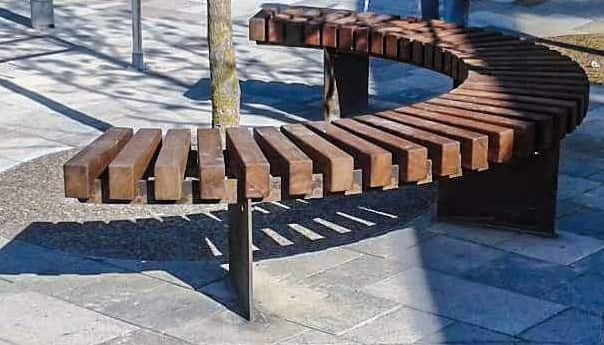 This is for the reason that this steel forms a defensive and shielding layer on its surface after the interaction of the weather that protects the inner steel. American Standard Designations: The basic & fundamental CORTEN grade was designated in standard designation A 242 i.e. CORTEN grade A. Newer grades are specified in American Standard A 588 i.e. CORTEN grade B.
Dimensional Characteristics of Weathering steel: The applicable thickness for this grade A material is defined in the ASTM A242 starts from 19 mm to 102 mm. for grade B material; ASTM A 588 specifies thickness starts from 100 mm to 203 mm. Maximum percentage of Carbon(C) is 0.12 percent for grade A CORTEN steel & for grade B it is 0.16 percent. Percentage of Manganese(Mn) is from 0.20 to 0.50 percent for grade A CORTEN grade & for grade B it is from 0.80 to 1.250 percent. Percentage of Phosphorous(P) is from 0.01 to 0.20 percent for grade A material & for grade B it is 0.03 percent. Percentage of Silicon(Si) is from 0.25 to 0.750 percent for grade A weathering material & for grade B it is from 0.30 to 0.50 percent. Percentage of Sulphur(S) is to 0.30 percent for grade A material & for grade B it is also 0.30 percent. Percentage of Chromium(Cr) is from 0.5 to 1.250 percent for grade A material & for grade B it is from 0.40 to 0.650 percent. Percentage of Copper(Cu) is from 0.25 to 0.550 percent for grade A COR-TEN material & for grade B it is from 0.30 to 0.40 percent. Percentage of Vanadium(V) is 0 percent for grade A COR-TEN material & for grade B it is from 0.02 to 0.10 percent. Percentage of Nickel(Ni) is 0.650 percent for grade A material & for grade B it is 0.4 percent. The tensile strength of this steel type is expressed in Newton per millimeters and for different grades it is different, usually it starts from 290 N/mm2 (MPa) to 460 MPa. The weld ability of these materials is complex to manage. Engineers have to ensure that weld-points rusts at the same magnitude as the other adjoining materials may require advance welding methodologies or different materials. It is also applied in bridges and various large structural applications. It is incredibly & extensively utilized in marine transportation. It is also utilized in observant sheet piling on areas of motorway that are recently widened. At some places in the world, all poles for supporting the catenary on railways are manufactured from this steel type due to aesthetic motives. U.S. Steel holds the registered trademark on the name CORTEN steel and is still the supplier of weathering steel mill plates and sheet forms. Arcelor Mittal, since 2003, have the rights to sell weathering steel plates that are discrete. Challenges & Limitations of this steel type: Utilizing weathering steel in construction still offer various limitations & considerations. We cannot straightly say that this steel is rust-resistive or can protect rust on its own purely. For example, if water is permitted to enter in pockets inside the structure of CORTEN steel and will stay, those regions will undergo advance corrosion rates, so facility for drainage must be provided within structures so that water will not stay in any of such pockets. This steel cannot perform well in humid subtropical climates & coastal areas. In such climatic effects, it is likely that the protective and shielding layer or rust may not persist the base steel but on the other hand it may corrode so that the structure weakens after several years. Is there any data quantifying how much cost effective and corrosion resistant cor-ten steel actually is? Or what is the worst environment it can survive? I want to use it for Flue gas ducting operating around dew point.